Minutes of the Gardnerville Ranchos General Improvement District Board of Trustees meeting held Wednesday March 6, 2019 @ 6:00 p.m. at 931 Mitch Drive, Gardnerville, NV. Trustees Present: John Sheridan, Brad Newlon, David James, Leann Teter and Bob McDowell. Also Present: Greg Reed, Beth Cook, Mike Rowe, Mike Bennett and the public. Approval of the agenda: Leann Teter motioned to approve the agenda for the March 6, 2019 agenda. Brad Newlon seconded the motion. All ayes. Agenda approved. Possible action to authorize the District Manager to dispense payment of additional sick time and compensation for insurance premiums for retiring District employee Doug Shaffer or any combination thereof. Greg Reed explained that Doug has been an employee of the District for 17 years. He is the Lead Person in charge of the outside crews. Doug has approximately 750 sick time hours on the books. He has asked for additional sick time in payout and compensation for insurance premiums. Greg explained that per policy the employee can accrue 15 sick days per year, and they are able to bank those hours over time. In the past the Trustees have made some accommodations for another employee that has retired. Currently the policy states that the employee can get paid 50% of their accrued sick days up to 90 days (720 hours) at 50% pay which amounts to 22.5 days of sick time pay out. Greg responded to Doug’s letter stating that he cannot grant Doug’s request for full payment of sick time because that goes against the current policy in the manual, but he will present it before the Board of Trustees for their consideration. In addition, Doug is asking to be compensated for his insurance premiums from May through September while he is on his wife’s insurance for a total of $1148.00. This is also in conflict with the Personnel Manual, so Greg is requesting the Board consider this request also. The decision the Board makes could set a precedent for the District. Mike Rowe explained that the Board does have the ability and the authority to waive the policy if they so choose. David James suggested the Board give Doug a bonus in an equal amount to cover his insurance, instead of stating it is for insurance and therefore that will not set a precedent for the District. John Sheridan feels that the District should stay with the current policy, but he agrees with Dr. James that a bonus would be appropriate. David James motioned to separate the 2 items. One item pertaining to the sick time payout and the second item regarding the insurance payout. Leann Teter seconded the motion. All ayes. Motion passed. Item One: David James suggested the Board give Doug a bonus for his performance of $6000.00 – $7000.00 as a lump sum to do as he wishes. Item Two: David James suggested Doug receive sick leave based on the provisions of the Personnel Manual. Brad Newlon would like to compute numbers before a decision is made. The total comes out to $7560.00 per the Policy Manual. Doug is requesting full pay of $30,240.00. John does not want to go against what the policy states, but he feels Doug should be compensated for his performance possibly up to 50% more which would be an additional $7500.00. Brad feels the full payment is unrealistic, but he does think that some sort of additional bonus is feasible. David does think the District should revisit the sick time payout policy at a future date. He suggested Doug receive sick leave based on the current policy. Leann stated that changing the policy would give the employees incentive to stay with the District. David James motioned that Doug receive the prescribed sick leave based on what is stated in the Personnel Manual. John Sheridan seconded the motion. All ayes. Motion passed. David James suggested the policy be changed and that Doug receive an additional bonus of $12,000.00. Bob McDowell suggested $5000.00. Leann suggested and additional $8000.00. John suggested $9000.00. Greg stated that the Board does not have to make a decision on either item today because the sick leave policy could be changed between now and May 10th when Doug leaves. David motioned to table the second item regarding consideration of a retirement bonus until a later date. John Sheridan seconded the motion. All ayes. Motion passed. Possible action to adopt Resolution 2019-02 approving changes to the District Personnel Manual as suggested by District Staff. Greg explained that Resolution 2019-02 details changes from the prior step salary advancement method to the newly adopted Min/Midpoint/Max compensation system developed by Pontifex. Brad Newlon wanted it noted that he was against changing the current step salary advancement system. John Sheridan motioned to adopt Resolution 19-02 approving changes to the District’s Personnel Manual. David James seconded the motion. 4 ayes. 1 nay (Brad Newlon). Motion passed. Possible action to authorize the District Manager to create the position of Operation Supervisor and eliminate the position of District Lead Person. Greg stated that with Doug retiring he would like to change his title to a more modern title by combining the District Lead Person and the District Foreman position to one position. He would like to rename the position from District Lead Person to Operations Supervisor. Bob would like Greg to add “minor construction” to the list of responsibilities of the Operations Supervisor. Brad Newlon motioned to authorize the District Manager to create the position of Operations Supervisor and eliminate the position of District Lead Person. John Sheridan seconded the motion. All ayes. Motion passed. Public Comment: Ron Bush asked if Greg would be eliminating a position or combining 2 positions. Greg replied that he is creating a new position and eliminating 2 positions. Possible action to approve changes to the District’s Personnel Manual as suggested by District staff. Greg explained that with the creation of the position of Operation supervisor, the Personnel Manual will need to be updated. David James motioned approve the proposed changes to the District’s Personnel Manual. John Sheridan seconded the motion. All ayes. Motion passed. Possible action to adopt the Pavement Management Plan created by Lumos and Associates. Mike Bennett of Lumos and Associates reviewed the 2019 Pavement Management Plan. Overall the road conditions in the District are “very good”. The plan indicates that the District will need to spend additional money on the roads to maintain their current conditions. Brad Newlon motioned to adopt the District Pavement Management Program developed by Lumos and Associates. Leann Teter seconded the motion. All ayes. Motion passed. Public Comment: Ron Bush asked how the Capital Improvement Plan relates to maintaining pot holes throughout the District. Greg stated that they are 2 separate issues. The pot hole situations will be handled on an individual basis. Greg explained to the Board that the District is currently enrolled in a small group plan with age-banded premiums. Consolidated large group plans are now allowed again. L/P Insurance along with the League are asking us to consider a new consolidated plan that would provide better coverage than we have now and would cost approximately $700.00 less per year that the District is currently paying. David James motioned to authorize the District Manager to work with L/P Insurance through the Nevada League of Cities to develop a group health insurance plan for fiscal year 2020. Leann Teter seconded the motion. All ayes. Motion passed. Possible Board action to reschedule the May and June 2019 Board meetings. Bob McDowell will be unable to attend the May 1, 2019 meeting. May 20 – May 31, 2019 are the available dates for the District to hold a public hearing top adopt the final budget. David James motioned to move one meeting to May 8, 2019 and the second meeting to May 29, 2019. This would include the final budget meeting and the June Meeting. Leann Teter seconded the motion. All ayes. Motion passed. David James reminded the Board that the July 5th meeting has been moved to June 29th. David James motioned to approve the check summary. Brad Newlon seconded the motion. All ayes. Motion passed. District Engineer: Mike Bennett reviewed the March 2019 tracking schedule. Mike Rowe: Mike Rowe worked on Resolution 19-02. He also reviewed the special assessment memo and it will probably be on next months agenda. Greg Reed: Greg reviewed his report and discussed Senate bill 231 that will be going through the legislature soon. He also included a summary of the water and sewer rates in Carson Valley. held February 6, 2019 @ 6:00 p.m.
Public Comment: John Engles suggested that anyone who hasn’t read the recently released “Tire Gate report” should read it. motion. All ayes. Motion passed. review and approve district counsel’s summary of tortious claims for 2018. Action Item. Mike Rowe reported that NRS requires that a summary of claims report must be filed with the governing body on or before February 1st of each year. The report indicated that no claims were paid and there are no open or unpaid claims. Dave James motioned to review and approve the District Counsel’s summary of Tortious Claims and make it part of the District’s Records. John Sheridan seconded the motion. All ayes. Motion passed. the District’s Policy and Procedures Manual. Board discussion followed by public comment. Possible action to adopt Resolution 2019-01 approving changes to the District Policy and Procedures Manual as suggested by District staff and the District Engineer. Action Item. Greg explained that this was discussed at last months meeting and this is a resolution to accept the changes made last month. Most changes are housekeeping items. the District Policy and Procedures Manual and eliminating “on a quarterly basis for Flat rate customers”. Leann seconded the motion. All ayes. Motion passed. Public Comment: John Engles asked if the GRGID water rates are on the Website. Greg Reed replied that they are and are included in the District’s Policy and Procedures Manual. changes to the District’s Personnel Manual as suggested by District Staff. Action Item. This item was discussed last month. Most of the changes to the policy are in wording, regarding changes from a step system to into a minimum, maximum pay range. There are also changes to 6.1.2. Holiday Pay regarding sick leave the day before or after a Holiday. An employee must report for work the day before and the day after a holiday to receive pay for a holiday, excepting only when a holiday falls within an approved vacation period, or when sick leave use is accompanied by valid written documentation by a physician or other licensed medical professional. Therefore, if someone calls in sick without a valid excuse they will not be paid. 7.1.1 was also changed from Ninety 90 days to Thirty 30 days regarding time for an employee to be eligible for insurance. Manual. Dave James seconded the motion. All ayes. Motion Passed. followed by Public comment. Possible board Action to authorize the District Manager and Lumos to complete a zone testing program at Well#5. Action Item. Lumos and Associates has prepared a proposal for Task 1 to conduct a zone testing program for Well #5. Total Task 1 cost $8,300.00. The District must determine if Well #5 can be more fully utilized by developing a water quality analysis by depth in the well. The zone test is the first step in that analysis. The proposed Well 5 zone testing will provide assistance to the GRGID to hire consultants to provide sampling and water quality data within Well 5 with the intention of identifying zones of high arsenic. Total cost of the project is estimated to be in the range of $50k -$75k. Mike explained the intent of the assessment is to identify zones of discrete arsenic concentrations within the screened interval. The information can assist the District in determining if blocking areas of higher arsenic concentration would be a viable means to reduce the overall arsenic concentration pumped from Well 5. Brad Newlon asked what the blending process entailed. Greg explained that Well #5 is a last resort well. All other wells will usually be pumping when Well 5 water is added to the system. The water from all wells is blended together in the storage tanks at the end of Tillman lane then distributed to the consumers. Dave James is concerned about the variation of arsenic readings at Well#5 and would like Mike to provide information on an arsenic plant. John Sheridan motioned to authorize the District Manager and Lumos to complete a zone testing program on Well #5 at a cost not to exceed $75,000. Leann Teter seconded the motion. All ayes. Motion passed. Public Comment: Ron Bush asked if there would be a higher concentration of arsenic for consumers near Well #5 as compared to customers on the golf course? Greg replied the water is pumped from the wells to be stored in the storage tanks at the end of Tillman. The water blends in the storage tanks. If well 5 is running it is primarily used as a last resort to fill the tanks. determine options for upgrading the Long Valley booster station. Action Item. Lumos and Associates has submitted a proposal for engineering services to prepare an analysis of alternatives for upgrading the Long Valley Booster Pump Station. Mike Bennett explained he will provide options for potential upgrades to the system and/or replacement. There are many avenues the District could take to improve or replace the Long Valley Booster. This Alternatives Analysis will provide the Board with options including Budgetary costs for each option. Cost to complete Task 1 is $12,500.00. This analysis and the Well #5 analysis will work in conjunction to improve pumping capacity for the high side pressure zone and are both part of the District’s Water Master Plan. The booster moves water now but because it does not have backup power generation, we cannot count it in supply calculation. Greg explained that the District has the capacity and does not have a shortage of water. The District does not have the mathematical calculation to submit to the state that says this is how much water we produce. This is what the District is attempting to fix with the two proposed projects. the motion. All ayes. Motion passed. Public Comment: James McKalip stated that all new development is on the high side and could be a tremendous strain on the system. discussion followed by public comment. Possible Board action to approve the proposed budget considerations. Action Item. Greg Reed reviewed the proposed 2019-2020 budget with the Board. This item is informative unless the Board decides to act. Public Comment: Ron Bush assumes that recoating of the water tank will be done when usage is low and asked if there would be an increased use of Well #5 the entire time the tank is down. If that is the case, then he would like to see the results of the study and possible mitigations that need to be in place before the District is potentially forced into a situation of having to increase use of well 5. Greg explained that he would like to have the pressure regulating valve in the system next year prior to the recoating of the tank so that water can be cycled. The valve would allow the District to maintain the pressure in the high side while maintaining water flow in the low side thus feeding everything off the low tank which we currently can’t do. That would alleviate the need to increase the use of Well 5.
meeting. Dave James seconded the motion. All ayes. Motion passed. District Engineer: Michael Bennett reviewed his project tracking schedule for the Month of February. District Counsel: Mike Rowe stated he has been working on items one and two this month. District Manager: Greg Reed explained that the proposed work on the Long Valley Booster Station is not for future growth considerations. It is for current capacity in the system. John Sheridan thanked Greg for taking him on a tour of the District and its facilities. Dave James thanked the staff and the public for their attendance. Public input is very important to the Board. Bob McDowell will not be at the April meeting and will not be back until May 7, 2019 as he will be on vacation in Hawaii. He suggested moving the May meeting. No decision was made to change the meeting. Public Comment: John Engles announced that the County Commissioners’ meeting will convene at 9 am tomorrow and will begin with water rates. Brad Newlon motioned to adjourn the meeting. Dave James seconded the motion. All ayes. Motion passed. Approval of agenda: Brad Newlon motioned to approve the agenda. David James seconded the motion. All ayes. Agenda approved. Public Comment: Ron Bush suggested the District change the order of public comment at the Board meetings. He feels by putting public comment before Board discussion and voting on an agenda item will allow the Board to consider the public’s viewpoint on that item. 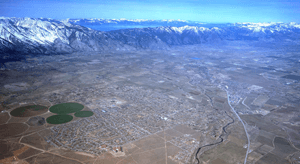 Bob McDowell motioned to adopt proclamation 2019-01 proclaiming January 2019 as “National Radon Action Month in Gardnerville Ranchos General Improvement District.” David James seconded the motion. All ayes. Motion passed. 2.Election of Chairman, Vice Chairman and Treasurer for calendar year 2019. Chairman: Leann Teter motioned to elect Bob McDowell for Chairman. Brad Newlon seconded the motion. All ayes. Motion passed. Vice Chairman: David James motioned to elect Brad Newlon for Vice Chairman. Leann Teter seconded the motion. All ayes. Motion passed. Treasurer: Brad Newlon motioned to elect David James for Treasurer. Bob McDowell seconded the motion. All ayes. Motion passed. 3.Board action to authorize the District Manager to create email addresses for each Board member. Greg explained to the Board that creating email address for each of the Trustees would prevent Trustees from having to use their personal emails for District work. Keeping personal emails separate from District emails might result in Trustees not being required to turn over their personal emails in the event of a future request. This process would cost the District $25.00 per month. David James motioned to authorize the District Manager to create email addresses for each Board member. John Sheridan seconded the motion. All ayes. Motion passed. Public Comment: Ron Bush requested the email addresses be posted on the website. 4.Possible action to approve changes to the District Policy and Procedures Manual as suggested by District Staff and District Engineer. Greg explained that he is doing a bit of housekeeping throughout the manual. Brad Newlon motioned to approve the changes to the District’s Policy and Procedures Manual. Leann Teter seconded the motion. All ayes. Motion Passed. 5.Possible action to approve changes to the District’s Personnel Manual as suggested by District Staff. Greg stated that he would like to make some changes in the personnel manual. Most of the changes are regarding salary structure and holiday pay. Bob McDowell suggested possibly adding that a Dr’s. note would be required if an employee calls in sick before or after a holiday. Greg said he would write something up for the Board to review. David James motioned to table this item until the next meeting. Leann Teter seconded the motion. All ayes. Motion passed. Pubic Comment: Chris Coulter commented that if she were one of the employees, she would be coming to work sick to avoid losing pay. She likes the idea of presenting a Dr’s. note. 6.Possible action to enter into an Interlocal Contract between Public Agencies with the State of Nevada to allow the District to provide employees with the opportunity to join a 457B Deferred Compensation Plan. Greg explained that a 457 B plan is the public equivalent to a private 401K plan. This plan is offered through the State. The District would need to enter into an agreement with the State. The State would approve it and the employees would have the opportunity to participate in this plan. John Sheridan motioned to allow the District to enter into an interlocal Contract between Public Agencies with the State of Nevada to allow the District to provide employees with the opportunity to join a 457B Deferred Compensation Plan . Leann Teter seconded the motion. All ayes. Motion passed. Public Comment: Chris Colter was concerned that there is only one administrator for this plan. 7. Possible action to maintain the XIO Cloud based SCADA system at the Springfield lift station at a cost of $10,271.89. The District had a 120-day trial period to try out the cloud based SCADA system at the Springfield Drive lift station. This system has proved to be reliable and has worked well for the last 3 months. Greg sees this a possible replacement for the existing SCADA system. At this point this system is a back-up to the land-based system. If the District were to switch over to the cloud-based system, the land-based SCADA system would revert to back up. Because this is a cloud-based system, it can be subject to malfunction. Leann Teter motioned to maintain the XIO cloud-based SCADA system at the lift station on Springfield Drive at the cost of $10,271.89. Brad Newlon seconded the motion. 4 ayes. 1 nay (David James). Motion passed. Minutes: Brad Newlon motioned to approve the minutes of the December 11, 2018 meeting with changes. Leann Teter seconded the motion. All ayes. Minutes approved. CHECK SUMMARY: David James motioned to approve the check summary. John Sheridan seconded the motion. All ayes. Motion passed. District Engineer: Mike Bennett reviewed the January 2019 tracking schedule. District Counsel: Mike stated that it has been a quiet month. He spent some time reviewing the 457B Plan. District Manager: Greg reviewed the January 2019 Manager’s Report. John Sheridan read a brief speech regarding his election to the Board and his goals for the District. Leann Teter reminded the Board to fill out their financial statements for the County. Bob McDowell: Bob had some questions regarding water pressure and the District advising the public to look into pressure release valves. He suggested the Board have business cards. He also suggested a Board member explain the reason they vote nay on an item. David James motioned to adjourn the meeting. Leann Teter seconded the motion. All ayes. Meeting adjourned at 8:10 p.m.
Trustees Present: Jeff James, David James, Brad Newlon, Leann Teter and Bob McDowell. Approval of Agenda: Bob McDowell motioned to approve the agenda. Jeff James seconded the motion. All Ayes. Agenda approved. Possible action to accept and approve the 2017/2018 fiscal year audit presented by VT Accounting Associates. Paul Tibma of VT Accounting reviewed the 2017/2018 Fiscal year audit. Paul stated that a change that was made this year is that VT used an outside consultant to review the financial statements and offer suggestions to VT Accounting. Jeff James motioned to accept and approve the 2017/2018 fiscal year audit for the Gardnerville Ranchos GID as presented by VT Accounting Associates. Brad Newlon seconded the motion. All ayes. Motion approved. Possible action to adopt Resolution 18-07 to amend the Board of Trustees’ Rules and Regulations regarding voting by a quorum of the Board. David James motioned to adopt Resolution 18-07 which updates the District’s Board of Trustees’ Rules and Regulations. All ayes. Motion approved. Possible action to authorize the District Manager to pursue the acquisition of a new accounting/utility billing software system. Greg explained the District’s current utility billing system is very old. It has functioned well over the years, but the hardware for that system will no longer be supported after September of 2019. In order to keep the current system in place the District will have to upgrade the existing hardware or enter into a third-party agreement to continue support. Greg would like to consider upgrading the software as well. He feels this will be a 12-16-month process to solicit proposals from various vendors for a new system. He would like to come before the Board at different milestones to update them on the process. Brad suggested Greg investigate other agencies to see what they are using. Starting the process now is a good thing because it could take some time. A ballpark cost depending on what the District gets for a system, could be anywhere from $50,000 to $150,000 depending on the size. David James motioned to authorize the District Manager to pursue the acquisition of a new accounting/utility billing software system. Bob McDowell seconded the motion. All ayes. Motion passed. Possible action to adopt Resolution 18-06 recognizing outgoing Trustee Jeff James for his 12 years of dedicated service to the District. Brad Newlon read the resolution to Jeff. Jeff thanked the Board and Staff for all their help through the years. He enjoyed his time on the Board. David James motioned to approve the November 7, 2018 minutes. Jeff James seconded the motion. Bob McDowell abstained from the motion because he did not attend the meeting. David James motioned to approve the November 16, 2018 minutes. Brad Newlon seconded the motion. Leann Teter abstained because she did not attend the meeting. Brad Newlon motioned to approve the check summary. Bob McDowell seconded the motion. All ayes. Summary approved. District Engineer: Mike Bennett reviewed the October 2018 tracking schedule. Bob McDowell feels that some utility districts in other areas have done a special assessment (impact) fee study. Mike explained that the District needs to decide what parameters the District wants to go into this with before the study begins. David James asked about the changes for Well 4. Mike stated that there is no recent activity on Well 4. The contractor is waiting to see what modifications the District has decided on before they start up again. Dave would like for Mike to provide to the Board the economic benefit that the changes would be for the District. Dave asked Greg if the funds that were put aside for Well 4 be redirected to some other project. Greg stated that would be a decision the Board would need to make, but yes it can be done. District Counsel: Mike stated that it has been very quiet. The only extra activity was to write the 2 resolutions for tonight’s meeting. District Manager: Greg reviewed the Manager’s report. Greg added that a cyber security analysis will be done in February. Greg invited the Board to attend the District’s Christmas luncheon on Friday December 21st. David James wondered about the status the new office generator. The generator is sitting out back. It has been installed and it is ready to start up. Brad Newlon would like District staff to check the corner of Muir and Russell. The corner is deteriorating. Brad thanked Jeff for his service to the District. Leann Teter stated that some of the residents were questioning why they do not have sidewalks and others do. Greg explained that sidewalks depended on when the development was built. Public Comment: Debbie Caster of Springfield Drive was wondering why there is dirt on Holstein Court from the Suncrest Subdivision. Greg stated that the dirt is temporary and should be moved soon. Jeff James motioned to adjourn the meeting. David James seconded the motion. All ayes. Meeting adjourned at 7:25 p.m.
Trustees Present: Bob McDowell, Brad Newlon and Dave James. LeAnn Teter and Jeff James were unable to attend the meeting, Bob McDowell will be acting Chairman. Dave James motioned to approve the Agenda. Brad Newlon seconded the motion. Three ayes. Motion passed. Board discussion followed by public comment. Possible action to select one of the above alternatives or any combination thereof as developed at the meeting. Greg Reed explained to the Board briefly that Well 4 is not producing the amount of water that was expected at the beginning of the project. This is an opportunity for the Board to consider where to go from here. Michael Bennett introduced Jay Fischer Senior hydrogeologist at Lumos & Associates to the Board, he will be available to answer any questions the Board may have. Mike explained the District chose the Well 4 site as the preferred location because institutional memory told them that in the past that existing well #4, at the time, had a capacity 700 to 800 gpm. The site was also favorable because it already had a connection to the existing distribution system and had three phase power and a pump to waste structure already in place. The water quality at the existing Well #4 was good except for sand. Availability of land access and easements were important in finding a well location also. Once it was determined that the District would replace the existing Well #4 the District did not conduct a test well because all indications were that the existing Well #4 had provided 700 to 800 gpm in the past and any new well in the same area would likely do the same. A test hole was drilled instead to verify three primary objectives: water quality sample, verify soils and verifying void spaces. The well driller was required to provide a Stinger Screen to be able to conduct hydraulic conductivity testing. The driller ending up providing a PVC screen instead, which ending up clogging up after 10 gallons per minute and very limited results were obtained. Hydraulic conductivity testing is basically a measurement of how quickly water can run through the soils. The test hole showed a very high hydraulic conductivity and all the data seemed to work. The District did ask for a second opinion at which time the District hired an independent hydrogeologist from Nevada Water Solutions. He reviewed the data and Mike recalls his report to say that the Well site would be very prolific. Based on this information the Board at that time voted for Lumos to move forward with the design and construction of Well 4. Mike went on to say that the well is essentially complete. The pump results are only producing 250 gallons per minute and Lumos is not sure why this is occurring. Lumos and the District have gone around and around trying to figure out why the well is not producing, and the reality is that the well produces 250 gpm. Greg reviewed the options in this Agenda item with the Board. Greg informed the Board that they could drill the well deeper, however that will be expensive and there is no guarantee that the well would provide more water; nor is there any guarantee that the water quality will be adequate. Dave James asked if the District has reviewed all options. Mike replied that they have looked at all options. Dr. James asked if there is a penalty to cancel the contract with the well driller KG Walters. Mike Bennett stated there is no penalty but there are costs associated with construction that the contractor would be entitled to. Brad Newlon asked if the if the Stinger Screen would have made a difference in Mike’s recommendation or the District’s decision. Mike said no he does not believe they would have been able to determine with either test what they know now. Bob McDowell suggested the District complete the new building and forge ahead. Dave agreed with Bob, however he does not believe the well needs a generator; it will save money for the District. Brad Newlon believes the District should stay the course and complete the contract without the generator. Dave James motioned to proceed with the project per plan for well #4, while making minor equipment adjustments to accommodate the reduced flow rates including the elimination of auxiliary generator. Brad Newlon seconded the motion. Three ayes. Motion passed. Public Comment: Ron Bush asked about the interference between pump #1 and pump #2. Bush suggested there are other options in the Water Master Plan that the District could consider before they vote to spend another $750,000.00 to complete well #4. John Sheridan is concerned that Well #1 has already been identified as needing to be replaced and it is considered the District’s Ace in the hole. Brad Newlon motioned to approve the minutes from the October 3, 2018 Board meeting. Dave James seconded the motion. Three ayes. Motion passed. Dave James motioned to approve the minutes of the October 24, 2018 Board meeting. Brad Newlon seconded the motion. Three ayes. Motion passed. Michael Bennett advised the board that the Street Maintenance Project is on round 4 of street sweeping and hopefully they can get it done this time. Mike Rowe had no comments. Greg Reed mentioned that the District has started learning the process in street inspections project with Lumos & Associates. Dr. James requested bringing a couple items to the Board; Items already in the Water Master Plan, rerouting well #2 and the booster pump. Public Comment: Ron Bush mentioned that he had previously asked about bike lane stripping on Tillman Lane, it has not been done as of yet. Dave James motioned to adjourn the meeting. Brad Newlon seconded the motion. Three ayes. Motion passed. Trustees Present: Jeff James, Dave James, Brad Newlon and Leann Teter. Bob McDowell was absent. Dave James motioned to approve the Agenda except for the minutes from the previous two board meetings, because of a clerical error. Jeff James seconded the motion. Four ayes. Motion passed. Public Comment: John Engles, Douglas County Commissioner elect, was present to request the District rescind any more will-serve letters from potential developers in the Ranchos. The developers are using a new tactic now; when the County turns them down, they file a lawsuit. This could happen with the Rancho Sierra Project, they will be back, and Engles is asking the District to show a pattern regarding future will-serve letters. to manhole reconstruction services. Board discussion followed by public comment. Possible action to authorize the District Manager to enter into a contract with Lumos & Associates for engineering services related to manhole reconstruction services. Action Item. Mike Bennett explained as identified in the 2016 GRGID Sewer Master Plan, several manholes in the District’s sewer collection system need rehabilitation as a result of damage from corrosion. The manhole rehabilitation project will mitigate the corrosion damage, prevent future deterioration and extend the life of the existing manholes. Greg Reed added that this project is in the budget. With Lumos & Associates for engineering services related to manhole reconstruction services. Dave James seconded the motion. Four ayes. Motion passed. II For Possible Action: Board discussion and possible action to authorize the District Manager to purchase a backhoe thumb as included in the 2018/2019 budget. Board discussion followed by public comment. Possible action to authorize the District Manager to purchase a backhoe thumb as included in the 2018/2019 budget. Action Item. The Operators have been requesting a thumb for the backhoe for over a year. The current price is $13,500.00. The thumb is a versatile tool that allows an operator to perform many functions. The cost of the Backhoe thumb was included in the 2018-2019 fiscal budget. Jeff James motioned to authorize the District Manager to purchase a backhoe thumb as included in the 2018-2019 budget at a cost not to exceed $14,000.00. Dave James seconded the motion. Four ayes. Motion passed. III For Possible Action: Board discussion and possible action to modify the Board of Trustees Rules and Regulations regarding voting by a quorum of the Board. Board discussion followed by public comment. Possible action to modify the Board of Trustees Rules and Regulations regarding voting by a quorum of the Board. Action Item. Three Trustees constitute a quorum to conduct a meeting. Currently the Trustee Rules and Regulations state under 9.1 Voting: Approval of a motion before the Board shall require the affirmative vote of a majority of the members present. For a motion to pass, three trustees have to vote in favor of a motion for the motion to pass even if only three trustees are present. It is recommended the wording be changed to read: Approval of a motion before the Board shall Require the Affirmative vote of a majority of the members of the Board. Prepare a resolution to come back before the Board for consideration of modifying the Trustees’ Rules and Regulations. Minutes: The minutes will be re-noticed for approval at the next Board Meeting. Jeff James motioned to approve the check summary for the month of August 2018. Brad Newlon seconded the motion. Four ayes. Motion passed. District Engineer: Mike Bennett reviewed his project tracking schedule for the month of November 2018. Mike Bennett informed the Board that the drilling on Well 4 is complete and test pumping is underway. The test pumping has produced unforeseen results with a constant rate of 250 to 300 gpm, well under the 800 to 1,000 gpm that was expected. Mike stated a boundary condition may be stopping the water from flowing in from all directions. He will bring a hydrologist back to the Board at a later date to discuss these issues. District Counsel: Mike Rowe has been researching the open meeting law and working on the changes to the Trustee Rules and Regulations. District Manager Greg suggested that the Board meet again before the regularly scheduled December meeting to make a decision on how to proceed with the Well. A meeting was scheduled for November 16, 2018 at 6 p.m. to discuss Well 4. Leann Teter welcomed John Sheridan trustee elect to the Board. Approval of Agenda: Bob McDowell motioned to approve the agenda. David James seconded the motion. All ayes. Agenda approved. Possible action to accept the donation of a flag pole, lighting and American flag and approve the installation of the pole at the 3-million-gallon water storage tank site. Greg Reed reviewed the detail sheets for the flag pole and the proposed lighting for the flag. The foundation has been constructed and the pole is scheduled to arrive Thursday October 25th. The lighting is powered through a solar panel. There are 2 possible lighting solutions available. The first attaches to the base of the pole and points up toward the flag. The second attaches to the top of the flag and points down. Greg suggests the first option because it would be easier to replace or repair if needed. Greg stated that the nearest house is 0.65 miles from the flag pole. Ken Paxton agreed with Greg regarding the light that attaches to the pole from below would be the best idea as far as labor and repair expense. David James stated that he would like to see two lights on the pole and he will contribute the money for the second light. David James motioned to accept the first option lighting as proposed for proper illumination of the flag that is being installed at the 3-million-gallon water storage tank. Brad Newlon seconded the motion. All ayes. Motion passed. Brad Newlon motioned to adjourn the meeting. David James seconded the motion. All ayes. Meeting adjourned at 6:15 p.m.
Trustees Present: Leann Teter, Bob McDowell, Brad Newlon, Dave James and Jeff James. seconded the motion. All ayes. Motion passed. I For Possible Action: Board discussion and possible action to accept the donation of a flag pole and American flag and approve the installation of pole at the 3.0-million-gallon water storage tank site. Board discussion followed by public comment. Possible action to accept the donation of a flag pole and American flag and approve the installation of the pole at the 3.0-million-gallon water storage tank site. Action Item. Mike Pailliotet has proposed that the District consider accepting a donation of a flag pole and flag for installation at the well site. The proposed flag pole will be 30 to 35 feet tall with a 6 foot by 10-foot flag. Mike would like for the pole to be installed by November 3, 2018 for the Sand Pits Community Clean-up day. Total donation with flag, pole and lighting estimated at $3000.00. Greg Reed explained that the District has an easement where the well site is located and has gotten permission from the property owner, Bently, to have a pole and flag installed. The District can install the pole according to the flag pole foundation installation specifications. estimated cost for District personnel to install the flag pole with concrete is $2000.00. Dave James asked if the proposal tonight included lighting for the pole. Mike Pailliotet stated that it did not, but he is waiting for someone to get back to him on lighting. Bob McDowell replied that this seems like an incomplete proposal because there are no details on lighting. McDowell is also concerned about the District’s responsibility and daily care for the flag. Dave James stated that the lighting will be a separate vote and there should be a public hearing to give the community a chance to say if they want the flag displayed with lights. of a flag pole and American flag and prepare for the installation of the pole at the 3.0-million-gallon water storage tank site subject to the review of the final specifications of the pad. Brad Newlon seconded the motion. All ayes. Public Comment: Jeannie likes the idea of the flag but not the extra cost and maintenance. installation of a pole, utilizing the District Personnel and up to 6 yards of concrete. Brad Newlon seconded the motion. All ayes. Motion passed. There will be a special meeting held on October 24, 2018 at 6:00 p.m. to discuss the lighting of the pole. II For Possible Action: Board discussion and possible action on a request from Mr. and Mrs.
Cedar Creek Subdivision Action Item. On July 1, 2015 the District considered the acceptance of Cedar Creek improvements for maintenance. At that meeting, the Board agreed to accept the streets, street lights, storm drains and the eastern most storm drain basin for maintenance within the Cedar Creek subdivision. The westernmost storm drain basin acceptance was explicitly denied due to lack of access for maintenance and the Board required that the Cedar Creek Homeowners Association retain ownership and maintenance of that basin. Sue Jeffery explained that the property where Cedar Creek is located went into foreclosure and at the time the decision was made to not accept the western basin, there were probably only 10 homes built in the 68-home subdivision. The subdivision owners wanted to build a house on the site where the western storm drain basin is located, and they went to the county and got approval to alter the plans and build a home. During the building permit submittal, it was verified the proposed home would not encroach into the easement. However, there is no access to the storm drain basin as it borders two other properties, there is only access from the Cedar Creek side. It creates a problem for the homeowners because the subdivision is built out and 75 percent of the owners had no knowledge of this problem before purchasing their homes. Greg stated that there is landscaping over the easement and therefore no access to the Storm drain basin. Currently the HOA owns that basin and are responsible for the basin. Brad suggested Mrs. Jeffery talk to the County as they were the ones who accepted the variance of the building permit. Mike Bennett also added that originally the entire subdivision was intended to be completely owned and maintained by the Homeowners Association, therefore, there were not standards put in place that would allow the maintenance by public entities. McDowell seconded the motion. All ayes. Motion passed. Public Comment: Barry Conlin asks what it takes to maintain a storm basin. Greg explained that the District does weed control and cleans the debris out of the storm basins within the District. Should the basins fill up with sediment the District will remove that also. Ordnance regarding vacation home rentals. Board discussion followed by public comment. Possible action on Douglas county’s proposed Ordinance regarding vacation home rentals. Douglas County has created a draft Ordinance regarding vacation home rental. While the county may believe that they are giving the district the ability to control vacation rentals within our boundaries, there does not appear to be anything in either NRS 318 nor in the Ordinances that created the District that gives us the authority to regulate vacation home rentals. IV For Possible Action: Board discussion and possible action to adopt the new wage scale classification system as recommended by Pontifex Consulting Group, LLC. Board discussion followed by public comment. Possible action to adopt the new wage and salary classification system as recommended by Pontifex Consulting Group, LLC. Action Item. Greg explained this item was discussed at the May 30, 2018 board meeting and at that time the Board denied adopting the new wage classification system. The Board also indicated a desire to poll the surrounding agencies and determine their overall salary structures to determine if they were using step structures or other structures. The Pontifex study identified that our two office clerical staff were significantly below the market value for those positions. On the current step system both are currently either at the top of their grade or 1 step away. This means they will no longer be eligible to receive merit increases; they will only receive cost of living adjustments. The Min/Mid/Max structure proposed by Pontifex solved the problems identified in the Pontifex study by placing both office staff in the middle of their respective salary ranges, thereby giving them room to move within that range and still receive merit raises when appropriate. Dave James stated he felt this was a very viable system and is equitable to all staff members. Brad Newlon does not trust the Pontifex study and he feels if it’s not broke don’t fix it. Bob McDowell thinks the wage scale is broken in certain areas and he feels the Pontifex study will fix the problem. Leann Teter was wondering if the operators would have to take a pay cut because they would be lowered on their wage scales. Greg replied that everyone will stay at the same pay. Jeff James asked how raises would be given; would they be a percentage? Greg replied that with the new range system you would have more flexibility and that raises would be given by a percentage. Currently each step is a set amount and there is not as much flexibility. Consulting Group, LLC. Jeff James seconded the motion. Four ayes. Brad Newlon stood opposed. Motion passed. V For Possible Action: Board discussion and possible action regarding a possible salary and /or benefit adjustment for fiscal year 2018-2019 for the District Manager. Board Discussion followed by public comment. Possible action to adjust the District Manager’s salary and/or benefits for fiscal year 2018-2019. Action Item. At the May 30, 2018 Board meeting, the Board tabled any consideration of changes to the compensation package of the District Manager until his one-year anniversary. The anniversary of the District Manager is October 2, 2018. The District Manager believes that any consideration of salary and benefits is strictly a Board decision. The Board discussed it and decided Greg Reed would receive a 2.1% cost of living adjustment and a 2.5% merit increase. In addition, the Board gave Greg one more week vacation, for a total of three weeks. Jeff James motioned to award the District Manager a 2.1% cost of living and a 2.5% merit raise as well as an additional week vacation effective immediately. Dave James seconded the motion. All ayes. Motion passed. Leann Teter excused herself from the meeting and Bob McDowell took over as Chairman. Minutes: Brad Newlon motioned to approve the August 29, 2019 Board meeting Minutes. Jeff James seconded the motion. Three ayes. Motion Passed. Dave James motioned to approve the September 17, 2018 Board meeting minutes. Brad Newlon seconded the motion. Three ayes. Jeff James abstained. Jeff James motioned to approve the check summary. Brad Newlon seconded the motion. Four ayes. Motion passed. Engineer Report: Mike Bennett reviewed his project tracking schedule for the month of October. District Counsel: Mike Rowe researched the Vacation Home Rental Ordinance and advised Greg on his findings. District Manager: Greg mentioned that there was a notice in the paper that several Douglas County entities, GRGID included, received state grant money for bathrooms. Greg also mentioned that the cost of all the District’s health insurance plans will remain the same for the upcoming year. Health Insurance pools will also be available again and will most likely be available through the Nevada League of Cities. Dave James asked to have a meeting with Greg and Mike Rowe later in the Month in preparation for the upcoming MGSD meeting. Dave James motioned to adjourn the meeting. Jeff James seconded the motion. to attend. Bob McDowell is acting Chairman. Dave James motioned to approve the Agenda. Jeff James seconded the motion. Public Comment: (No Action) This portion of the meeting is open to the public to speak on any topic not on tonight’s agenda and must be limited to five minutes. John Engels is not a resident of the Ranchos and wants to be more involved and stated that water is critical to Nevada and there is a huge demand for it. There is not enough water to accommodate everyone from over the hill and the topic regarding water is often neglected. Management Plan not to exceed $59,000.00 Action Item. Term planning and budgeting to help managers make more consistent, cost effective, and defensible decisions about what work to do and when to do it. It helps decision making by providing information about inventory, condition and cost of various work options. District Staff would be trained through online inspector classes to be familiar with what the different distresses (cracks, potholes, etc.…) are in roadways. Street Saver is the platform that Lumos will be using. There is an annual licensing fee of $1,500.00 per agency and there will be a small increase in the retainer to cover design and evaluation of inspection results. The District has a Water Resource Master Plan, a Water Master plan and a Sewer Master Plan. The Pavement Maintenance Plan is a master plan for the streets. James seconded the motion. Four ayes. Motion passed. Public Comment: Jim McKalip of Lassen Way, stated he is very happy with the roads. He was curious if there were other bidders for this contract. Ron Bush asked if there were going to be additional training costs for District employees and what is the inspection criteria. Mike stated it is visual observation where the methodology is called random sampling. There will inspection units per segment of road that are laid out in a random pattern. The inspector will identify areas of distress then measure and quantify the areas, and analyze them within the unit and come up with a rating for that segment. Greg explained that Lumos is the District’s engineer and they provide professional services for the District and GRGID is not required to go out to bid for professional services. Furthermore, NRS 625, specifically states that the selection of an Engineer must be qualification based, not based on competitive fees. II Board discussion and possible action to enter into a contract with Lumos and Associates to develop a special assessment process for future development projects. Board discussion followed by public comment. Possible action to enter into a contract with Lumos and Associates to develop a special assessment process for future development projects at a cost not to exceed $8,000.00. Action Item. The Rancho Sierra Project which was denied by the County this summer will be back at some point along with other development. When development occurs, the District needs to be prepared and have a mechanism in place to determine costs of future infrastructure improvements. This is an opportunity for the District to be proactive in determining the proper assessment and allocations for the future (see attached Proposal for Engineering Services). The District will continue to charge water/sewer connection fees, but for all new parcels annexed into the District there will also be a special assessment for future growth. the motion. Four ayes. Motion passed. Public Comment: Jim McKalip thinks this is a good idea you can’t do enough planning. John Sheridan is concerned about special assessments for sewer. Mike Bennett explained that the sewer lines are appropriate for 20 year build out as the District does not treat the sewer, sewer is treated in Minden by MGSD. Ron Bush wants to encourage the Board to consider a similar sewer study in the future. the trial period has expired. Action Item. Greg Reed explained that the District currently has a conventional SCADA system with programmable logic controllers. SCADA stands for Supervisory Control and Data Acquisition. This system operates the pumps and lift stations within the District through a computer in the office. The system is currently maintained by Sierra controls and costs about $50,000.00 a year. A cloud-based system would be an alternative and would in the long run be a cheaper way to go after initial set up fees. The cost of the system for the lift station is $10,207.00 that includes all XiO supplied hardware and all programming. The cloud service fee is $39.00 per month per controller and includes all programming, ongoing support, alarms, report generation, unlimited access to the secure website and an extended warranty on the FIU control module—Soft-I/O as long as the cloud fee is current. XiO has been trying to get the District to try out the product and has offered a period of four months trial basis at no cost to the District until the trial period has expired. If we like it at that time we would pay for it. If we don’t like it, we ship it back at no cost. This cost is for only one lift station. The selling point for this product is that if anything goes wrong with the product the District will ship it back and a new one will be returned within 48 hours. The entire system, if all wells and lift stations were on the cloud-based system, would be around $7,000.00 per year. Jeff James likes the option to try a project for free. Dave James is concerned about a cloud-based system going down. Greg stated that the lift station is an independent system and it operates at the lift station, there are generators to run the lift station if the power should go out. The Cloud-system is only a monitoring system and if it went down it would not affect the lift station operation. Brad Newlon suggested bringing this back to the Board three months after the initial installation for board discussion. months after initial installation. Jeff James seconded the motion. Four ayes. followed by public comment. Possible action of a review of the Petition for Inclusion of real property into Gardnerville Ranchos General Improvement District for the Damascus Road Christian Assembly of God on Tillman Lane. Action Item. There is not currently an annexation agreement with the church; the District has a petition for annexation. This is just a review and discussion to bring the board up to speed on the item. The Church will have to prepare an annexation agreement in accordance with the District’s Policy and Procedures Manual. Items to address in the agreement include allocating the Church’s well to the District and building the infrastructure in accordance with District specifications. Brad Newlon motioned to approve the minutes of the August 1, 2018 board meeting. as he did not attend that meeting. motion. Four ayes. Motion passed. District Engineer: Michael Bennett reviewed his project tracking schedule with the Board. District Manager: The District has had a couple of complaints about credit card fees through email and Greg has been responding to them and explaining that these fees are assessed by the credit card companies, not the District. Greg has a meeting with Frank at MGSD. They will be talking about setting up a meeting at their next meeting. Well 4 replacement Bids will be opened tomorrow. Greg suggested holding a special meeting in September to award the bid. The Board will have a special meeting September 17, 2018 at 6:00 p.m. to award the bid for the Well 4 replacement project. Jeff James asked about the grant at the park for the restrooms. Greg stated the District has been awarded the grant and he is waiting for final paperwork. Dave James stated he has four tickets to the Chamber Gala in November 3, 2018 and he will not be able to attend. He offered the tickets to Greg in the event he would like to attend. Brad Newlon wished Leann well. She has had foot surgery and was unable to attend. Brad thanked all the public who attended the meeting. Bob McDowell wanted all to be aware of an ordinance for new vacation rental rules. Greg will follow up on the ordnance and bring the information back at another meeting. Public Comment: John Engels told the Board he appreciates their hospitality. He wanted to clear up a rumor he is not opposed to development. He is not opposed to development just a type of development. He is concerned for the aquifers and that they are over appropriated. He is big on being cautious and protective of our water supply. Bev Anderson told the Board that the second reading on vacation rentals is coming up on September 6, 2018. The County will vote on weather they will bring vacation rentals to the valley. Ron Bush asked about striping for bicycle lanes on Tillman. Mike Bennett said he would check into it and let Greg know.